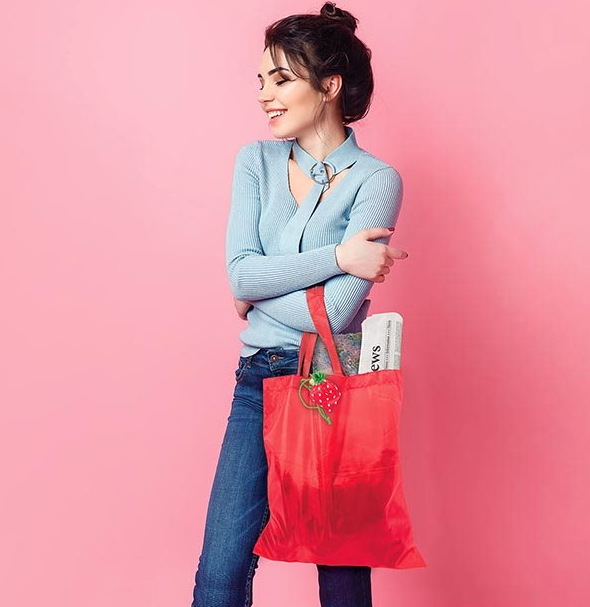 Bold and beautiful shopping bag. 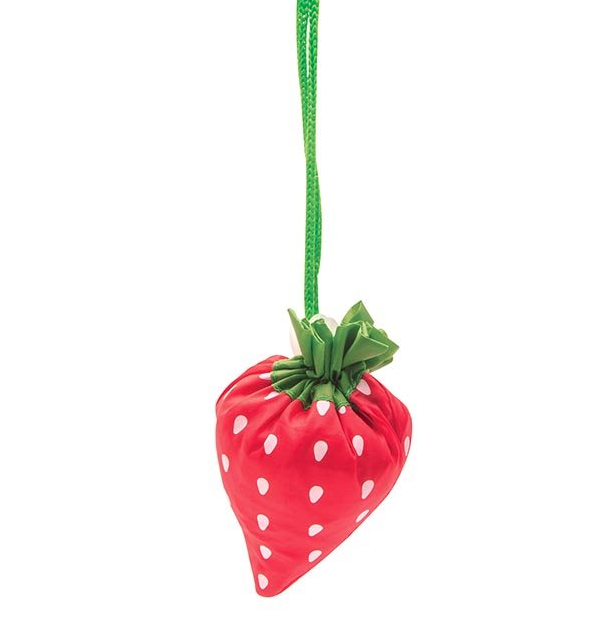 Folds into a strawberry pouch with clip, how delightul. 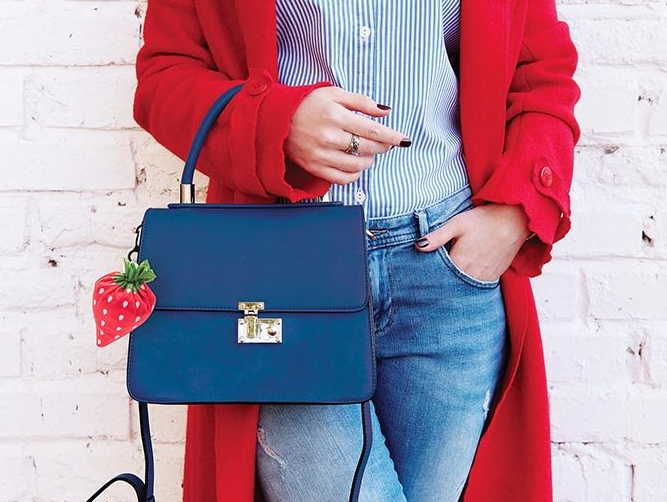 You'll find it easily in your handbag. Holds up to 5 kg.